Indianapolis International Airport was opened in 1931. It is the largest airport in the U.S. state of Indiana and the second largest hub for FedEx, the global logistics company. The Indianapolis Airport Authority was responsible for safely and efficiently moving 7,526,414 passengers and 1,044,812 tons of cargo in 2010. A year later, the authority opted to implement MailStore Server. In this case study, Richard Edwards, Senior Systems Administrator for the Indianapolis Airport Authority, sheds some light on his experience using MailStore Server and describes how the solution has proven highly successful in daily operations over the past year and a half. 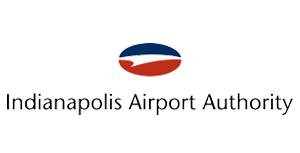 Indianapolis Airport Authority leverages almost all of the advantages of email archiving. These advantages include legal compliance requirements, protection against data loss, an increase in productivity thanks to fast access to emails, and a broad range of technical aspects. Central archiving of email made it possible to eliminate mailbox quotas, optimize backup and restore processes, and sustainably become free from PST files. The special feature: Indianapolis Airport Authority was already using an archiving solution from another provider. However, Richard Edwards describes this solution as expensive, complicated, and unreliable. Based on these facts, alternatives, including cloud services, were tested during an intense evaluation phase. A decision was ultimately made in favor of MailStore Server, which Edwards says offered low acquisition costs, low system requirements, intuitive operation as well as seamless integration into the existing infrastructure. Qualified support, quick reaction times, and excellent documentation facilitated a very smooth test phase, remembers Edwards. MailStore Server was put into productive operation in September 2011 when the archive was set up with Microsoft Exchange Server 2010 based on Windows Server 2008. Since MailStore Server emails are always allocated to their recipients, users were initially created within the archive by synchronizing with Active Directory. As an archiving strategy, MailStore Server offers the necessary flexibility Indianapolis Airport Authority needs to implement its individual requirements. This makes it possible to archive email once it is 60 days old as a rule. Deletion rules were also established, whereby emails can be deleted once these have been successfully archived from the Exchange mailboxes. This takes place after 60, 90, or 120 days, depending on the user group. One of MailStore Server’s particular strengths is the methods of access that it provides users to access their archived email. Indianapolis Airport Authority is also making use of MailStore Client, MailStore Outlook Add-in, and MailStore Web Access. All of the options allow users to perform a fast full-text search of emails and file attachments as well as providing access via the regular folder structure. MailStore Server does not use stubbing, unlike the previous archiving solution in use at Indianapolis Airport Authority. When stubbing is used, emails are not fully removed from mailboxes after archiving, but replaced with a placeholder. With these placeholders users can access the complete email in the archive. Microsoft does not recommend stubbing technology for Exchange Server as it results in administrative disadvantages and slower performance. 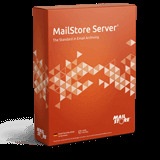 The switch from the previous solution’s stubbing method to the live view of the archive offered by MailStore took some time until the end users became accustomed to it. According to Richard Edwards, that was the project’s only hurdle. How would you evaluate the acquisition costs of MailStore Server? fair price. Overall costs are also kept at a minimum thanks to the low hardware requirements. What was the main problem that you overcame thanks to MailStore Server? Before adopting MailStore Server, we were using an archiving solution from another provider. MailStore Server offers a host of solutions that represent improvements over our previous approach to archiving and the system has simply been operating perfectly for a year and a half. How was MailStore Server received by your end users? For us as an IT department, MailStore Server allowed us to deliver a stable, reliable platform, over which our users and our internal customers can benefit from precise results when searching for emails.